Over the last month there has been extensive discussion within Australian media circles on the potential results of American style broadcasting in a country where the concept of commentators for teams seems so foreign. Here’s why it’s the only way forward for Australia. When Richmond took on Collingwood in Round Four of the AFL premiership season earlier this year, viewers had the option to “Press red for Ed”. No, pressing the red button would not bring up a picture of the Collingwood presidents reaction to their blown lead in the 2010 Grand Final, but give viewers the opportunity to hear a Collingwood based commentary team. I only heard a small amount of the commentary and despite the fact I’m a long way from a Collingwood fan it was one of the best things I’ve heard in Australian sport. 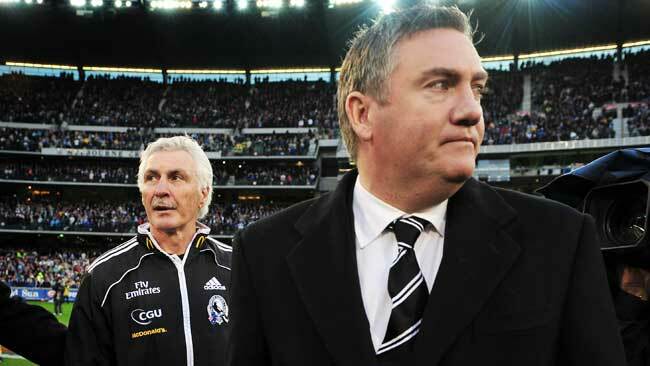 It wasn’t the best in terms of commentary, but it was the best because I had a commentary team who had a much deeper understanding of the Collingwood Football Club then the average commentator. Earlier this week the Herald Sun revealed that the AFL are hoping to broadcast their own games by the end of the 2016, which again throws open the window for team based commentary. Imagine this, the Western Bulldogs are playing in Brisbane on a Saturday night and rather than listening to the likes of Brian Taylor and Richo, I have the chance to listen to Marcus Ashcroft and Bernie Quinlan. If I’m a Brisbane fan (which I’m not, but I have a soft spot for them), then that’s going to be my preference any day of the week because I’m going to hear more positives about my team from people who had the history that I know inside and out. This isn’t to say there is no room for journalists in the broadcast box, with Vin Scully from the Los Angeles Dodgers of Major League Baseball being the perfect example. Scully never played Big League ball, working as a journalist and beginning his career with the Dodgers in 1950. Wouldn’t that longevity be something to see in Australia? This is a technique which has already been explored in the lower tier sports in Australian, with the ABL, AIHL and NBL all having team specific broadcasters. Through these broadcasts we can also see an increase in revenue for media organisations, with companies such as Hewitt Sports reaping the rewards. HSN have had broadcast rights for AIHL games while the Brisbane Bandits have two innings per game called by HSN Beat Writer John Grey, in what has become known as the “Hewitt Sports Hangout”. Sport has turned from a game into a business over the last three decades, and the best way for this transition to be complete will be for leagues and teams to break away from the current broadcast mould and display the independence fans should be so desperately craving. Do you have a favourite franchise based broadcast team? Do you have suggestions on who the best team could be in your favourite sport? Let me know below. This entry was posted in Published on xavierplayer.com, Written and tagged ABL, AIHL, Bernie Quinlan, Collingwood, Hewitt Sports Network, Marcus Ashcroft, NBL. Bookmark the permalink. ← Who cares how fast you can run?